I came across Sutanto’s paper in the Journal of Evangelical Theology (JETS 57/4 (2014) and have been thinking it through. Part of the reason this caught my interest is because I live in Southern California and I have noticed how predominant the Argument from Consciousness is in these parts seeing how I believe it lacked the Theological justification for a genuine apologetic. But I struggled to understand why it was that these well intending apologists were so adamant about using the Argument From Consciousness and did use it with every opportunity seemingly. I believe Sutanto does an outstanding job explaining the situation in this paper and if you get the time I would highly recommend reading his paper. However, here I provide a very simplified and watered down explanation of Sutanto’s argument. Some readers may not be too familiar with the technical language but many will be familiar with the concept the terminology seeks to communicate. Thus common sense realism (CS) is expressed by Sutanto as “referring to those propositions or intuitions that are perspicuously true, upon, or even prior to immediate reflection. When any subject S entertain these propositions, it is supposed, S will come to see the obviousness of the veracity of the proposition, and thus be lured, or even compelled, to adopt a belief in them. (777)” For example the fact that I have hands is a belief I hold from common sense and it would be difficult for anyone to refute. This is what Sutanto is addressing in the CS thesis. The relationship of CS to the Argument From Consciousness (AFC) is that the common sense reality of my conscious awareness points to belief in God. CS provides the epistemic justification for the fact of consciousness. Allow me to explain. Genuinely non-physical mental states exist. There is an explanation for mental states. Personal explanation is different from naturalistic scientific explanation. The explanation for mental states is either personal or natural scientific explanation. The explanation is not a naturalistic scientific one. Therefore, the explanation is a personal one. If the explanation is personal then it is theistic. Sutanto seems to be in agreement with Moreland’s AFC. Where Sutanto wishes to “recalibrate” is not the AFC itself but rather Sutanto wants to recalibrate AFC’s foundation. The argument that Sutanto is going make centers on the matter of the principium cognoscendi (principle of knowing). Morland begins premise one by denying third person scientific investigation. For Morland premise one is based on first person phenomenology hence it is at this point that he invokes the CS thesis as his principium. Here Sutanto offers some objections to the understanding of CS as principium. Sutanto pulls from different sources in the formulation of these objections. The first objection he calls the “Marsden Olifent objection” named after two scholars George Marsden and Scott Oliphint who address this issue of CS in other works. Without going to far into what was said I think I can summarize their position as a historical refutation of CS demonstrating that there is no ground or reference for what knowledge is in fact common. Without a base or start point the pursuit of knowledge that is common becomes vacuous at best. The next objection he refers to as the “Bishop and Trout objection” which comes from Michael Bishop and J.D. Trout’s book Epistemology and the Psychology of Human Judgment. The thrust of the argument is an appeal to a naturalistic epistemology. Because no genuine agreement among epistemologists or people in general can be found in standard analytic epistemology the authors propose a third person naturalistic approach which is precisely what Morland is refuting. The next set of objections that Sutanto offers is divine revelation and the noetic effects of sin. Here with the text of Scripture he makes the case that there are two implications of the noetic effects of sin (or the way sin impacts our thinking). The first is that which should be common- namely the knowledge of God- which is treated by the natural man as uncommon. Therefore any appeal to what is thought to be CS can potentially be an appeal to what is uncommon. Thus in this sense the natural man will take for granted that his epistemic equipment is functioning properly when in reality it is working from the noetic effects of sin which suppresses true knowledge. If the noetic effects of sin are so comprehensive what then can be our principium cognoscendi. This is where Sutanto turns to the Triune God. He writes “With these objections we have shown that an appeal to common sense to ground an argument is insufficient at best or simply wrongheaded at worst, especially when we live in the post-lapsarian order” (786). Sutanto goes on to say, “In recalibrating the argument from consciousness, and placing it on divine revelation rather than on natural theology, we preserve its concluding premises from devolving into a proof for some finite god. Instead , we begin from the ontological Trinity, and we lay an argument that concludes, also, with the Trinity” (791). Over the years I have become more and more skeptical about proof texting (and proof texters). Proof texting is simply using Bible verse to support ones claim. The actual act itself is fine when each verse has been properly understood within the proper context and applied correctly. The problem comes in when those who are fast and loose with the Bible verses using passages of Scripture to prove points they were never intended to prove. In a sense my protest is something like a “throwing the baby out with the bath water”. I realize it but I have enjoyed reading Biblical text apart from the numbering system that creates the verses. It is a pleasure to read Jesus in total apart from the distractions of individualized points of doctrine. Having been brought up with proof texting I still find my self reading verses and appointing a statement of doctrine to it. Sometimes bad habits are hard to lose. God is one “Hear, O Israel: The LORD our God, the LORD is one.” Deut. 6:4; 1 Sam. 2:2; 2 Kgs. 19:15; Is. 37:16; 44:8; Mk.12:28–34; 1 Cor. 8:4–6; 1 Tim. 2:5; Jas. 2:19. 3. The Son is God now we are getting into some controversy. This proposition is rejected by monotheists for various reasons depending on the monotheistic system in question. However, this is a very fundamental teaching in Christianity. The Son is given divine names (Jn. 1:1, 18; Acts 5:31; 1 Cor. 2:8; Jas. 2:1; Rev. 1:8; 21:6; 22:13). The Son has divine attributes. Eternity (Jn. 1:2; 8:58; 17:5; Rev. 1:8, 17; 22:13). Immutability (Heb. 1:11, 12; 13:8). Omnipresence (Jn. 3:13; Mt. 18:20; 28:20). Omniscience (Mt. 11:27; Jn. 2:23–25; 21:17; Rev. 2:23). Omnipotence (Jn. 5:17; Heb. 1:3; Rev. 1:8; 11:17). The Son does divine works. Creation (Jn. 1:3, 10; Col. 1:16–17). Salvation (Acts 4:12; 2 Tim. 1:10; Heb. 5:9). Judgment (Jn. 5:22; 2 Cor. 5:10; Mt. 25:31–32). The Son is worshiped as God (Jn. 5:22–23; 20:28; 1 Cor. 1:2; Phil. The Spirit is called God (Acts 5:3–4; 2 Cor. 3:17). The Spirit is given divine names (Mt. 12:28). Heb. 3:7; 9:14; 1 Jn. 5:6–7). 16:6; Rom. 8:26; 15:19; 1 Cor. 12:7–11). The Spirit is worshiped as God (Mt. 12:32). The Father, Son, and Spirit are distinct persons in relationship with one another. The Son prays to the Father (Jn. 11:41–42; 17; Mt. 26:39 ff.). The Father speaks to the Son (Jn. 12:27–28). distinct from one another (Mt. 3:16–17). The Father sends the Son and the Spirit, and the Son sends the Spirit (Jn. 3:17; 4:34; 5:30; 6:39; 14:26; 15:26; 16:7). Before I hit some of the common texts that help formulate the idea that God is Triune I want to start by addressing some of criticisms briefly. IS THE TRINITY A NECESSARY LOGICAL CONTRADICTION? Sometimes I like to pose a question before answering this one. That is, when I hear non-Christians refer to anything that has to do with “logic” I want to know what it is exactly that they are referring to. I find that what many people have in mind has more to do with just general critical thinking. In the filed of philosophy logic becomes more technical and precise. But what I really want to know is from the non-believer’s perspective what is logic? what is its origin, nature, essence, etc? I usually don’t ask for a whole lot of detail since this question is still trying to be answered logicians today. My point is, apart from the Trinitarian understanding of reality, laws of logic become problematic. Non-Christian philosophical systems seem to have a great deal of difficulty explaining the nature of the laws of logic but they ironically insist on using them. I know this is confusing to grasp at this point in the discussion so I will briefly say that within Trinitarian understanding of reality we have a foundational understanding for the existence of universal, abstract, invariant, entities such as those described in logical laws as well as an account of how the particulars of experience are universalized. Hopefully I can get into more of this in a later post. Moving forward, what we often hear from non-believers is “how can God be ‘one’ (Deut. 6:4) if he is three? From their perspective we are saying 1+1+1=1. Interestingly the word for “one” in Deuteronomy 6:4 is the same word for “one” in Genesis 2:24 (Therefore a man shall leave his father and his mother and hold fast to his wife, and they shall become one flesh). But from the particular perspective of the non-believer they are correct; that does present a logical contradiction. It’s like we are saying God is A but he is also -A. But in reality what we are saying is that the Father, Son, and Holy Spirit is A in person and B in unity and essence. However, after I neatly phrased the explanation it is important to understand that this does not give us the totality of understanding about God’s nature. There is indeed much that is left to the mystery of God. However, some push that “mystery” terminology too far as if any time we talk about the relationship we find in Scripture between the three persons we are talking about the unknown. That is inherently wrong. The reason we are talking about it is because we found it in Scripture and therefore the “mystery” has been revealed not exhaustively but particularly. That is to say not totally but as much as a finite man or woman can understand. It is within this finite understanding that we come to understand that the three persons of the holy Trinity are One. Our understanding of this truth is not exhaustive nor should we ever claim it to be since as Martin Heidegger once quipped any god that we can understand exhaustively is no god for me. Tell me your thoughts. More to come. Way back in Part 1 I made the statement that without the Trinity there would be no Christianity. There are several criticisms that can be made against a statement like that. One could argue that the word “Trinity” is no where mentioned in the Bible. A second criticism could be that many genuine believers are saved without having understood the doctrine of the Trinity. Yet another might be there are many “Christian” denominations like Mormons and Jehovah Witnesses that reject the Trinity. Then there is the argument that the Trinity can not be known because it is a paradox or a mystery. In other words, in light of the opposing view points how can one possibly hold the view that without the doctrine of the Trinity there is no Christianity. I would first begin by saying that each of these opposing arguments are problematic because they don’t take into account the full weight of the doctrine. As I said in Part 1 the doctrine of the Trinity is so foundational that predication would be impossible without it. Thus each of these opposing arguments would prove themselves to be internally incoherent against thorough understanding of the Trinity. 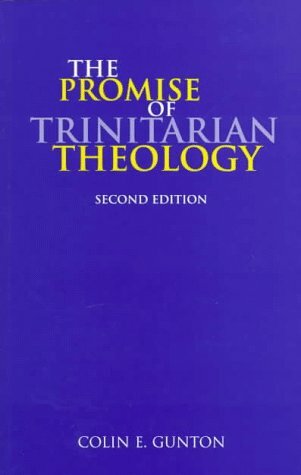 Rather than work through each of these criticisms which I find to be superficial at best I would say that the organic relationship between the Trinity and Christianity is demonstrated naturally from the text of Scripture. Hence in a very real sense when we come confessing our faith in the Holy Trinity (some times you will notice a Pastor who will Baptize in the Trinitarian formulation) this a more thorough and robust way of confessing our faith in Jesus as Savior. However -and more to our point here- if confessing our faith in the Holy Trinity is on par with confessing our faith in Jesus as Savior then when happens when the Trinity is denied or rejected? By necessary default the Jesus as Savior is rejected. Tell me your thoughts or questions. More to come.